I seldom make Chinese steamed bun or pao as I don’t have the patience and always find it is very time consuming to wait for the buns to proof. So happens that Joceline told me to check an easy mantou (Chinese steamed bun) recipe from Jane’s blog. After reading the recipe, I find that the steps are easy to follow and pretty quick to make, Really happy with the outcome. 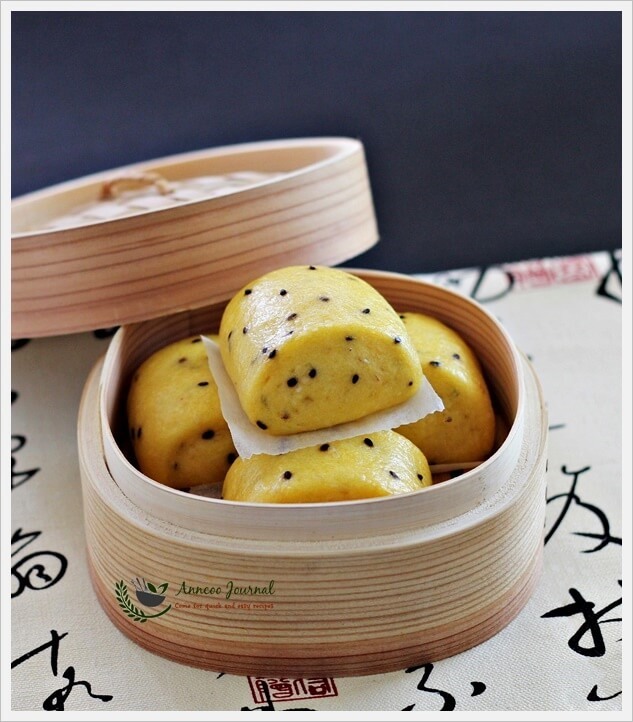 This healthy Pumpkin Mantou is quite soft and a little springy and is best to serve warm for morning breakfast. Steam pumpkin till soft and blend to smooth while still hot. Set aside till cool. In a small bowl, mix instant yeast and water together. In another bowl sift in flour, add sugar, pumkin puree and oil. Add the instant yeast and water into it. Mix well, and use hand to knead mixture to a smooth dough, add toasted black sesame seed, knead well again. Cover dough and rest for 15 minutes at room temperature. Dust table top with some flour. Roll out the dough into a rectangle shape (about 13 x 6 inch). Brush some water on top of the surface. Roll up the dough like a Swiss roll. Cut into small pieces (8-10pieces) and put the small mantou on a small piece of wax paper. Put the mantou in the steamer and proof for 20 minutes or about double in volume. Turn the fire to high and bring water to boil and turn fire to medium, steam mantou for 15 minutes. 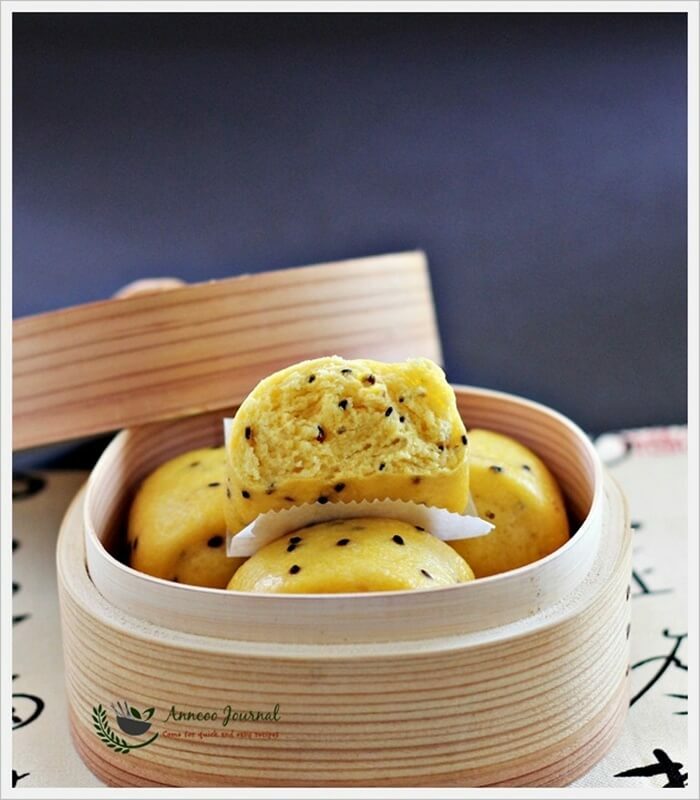 Event Theme: Bun in My Hot Steamer hosted by Fion of XuanHom’s Mom. Hi, can I substitute with wholemeal flour? Hi tyhuey, I’ve not tried with wholemeal flour yet. Not sure about the texture but no harm trying. Thanks for your recipe. 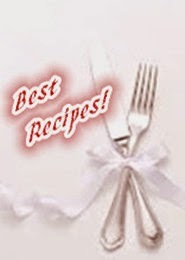 Your recipe is simple yet super delicious. I never believe i can ever make man tao since in other recipe the procedures are so complicated but i finally make it. Do we put the man tao in the steamer when we starts to boil the water or put mantao into steamer after the water is boiled? 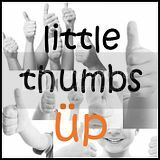 Thank you for trying this recipe and so happy that you liked it. Put the mantou in the steamer with water below and let it proof for the last time to double volume. After about 20 minutes turn on the fire and bring water to boil and steam for 15 mins at medium fire. Hi, for this recipe isit after proof than turn the fire on? Yes Isabelle, let the mantou proof in the steamer for 20 mins before turning on the fire. They look lovely with the black sesame seed on them. I have similar sentiments as you, just that I seldom make steamed buns nowadays because of problems with my stove and steamer, they are not hot enough. But your steamed buns look so smooth and fluffy, I am sure your patience in waiting has paid off! Hi Ann, those buns look lovely! I really like the bamboo steamer you used cook them in too. May I ask where you purchased it? Can I get it in US? Hi, Thank you for your compliment 🙂 I bought the bamboo steamer at Totts Singapore. Not sure where can you get it in US. Your mantou looks so drooling…may I grab one for breakfast? I have never heard of mantou before, these are definitely something that I need to make! They look delicious.. thanks for the great recipe! Ann, the pumpkin mantous look very good! Love the addition of black sesame seeds. Lovely! I am pinning this for future reference for sure! Hi Ann, yummy smooth & fluffy soft 南瓜馒头. Love the contrasting colour with added black sesame seeds to the golden pumpkin! Soft fluffy mantou and smooth skin surface. Perfect! 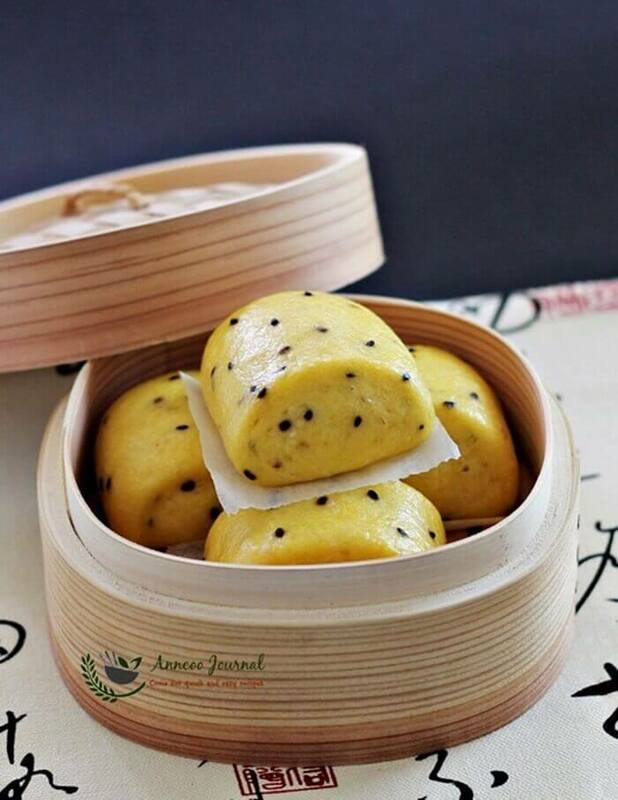 They look gorgeous dotted with black sesame seeds. Totally adorable! i love how smooth your mantous are… it's like porcelain a fly cannot stand on it properly! This attract me the moment I saw it! Very nicely done and the sesame dots on the golden yellow bun are so cute! HI Ann, these pumpkin mantou looked very cute! Like the idea of adding some black sesame seeds there! Morning Ann…lovely mantou for breakfast..